Fentanyl is a powerful synthetic opioid analgesic that is similar to morphine but is 50 to 100 times more potent. In its prescription form it is prescribed for pain, but fentanyl is also made illegally and distributed as a street drug. Fentanyl and other synthetic opioids are the most common drugs involved in overdose deaths. Illegal fentanyl is sold in the following forms: as a powder, dropped on blotter paper like small candies, in eye droppers or nasal sprays, or made into pills that look like real prescription opioids. Illegal fentanyl is being mixed with other drugs, such as cocaine, heroin, methamphetamine, and MDMA. This is especially dangerous because people are often unaware that fentanyl has been added. Fentanyl works by binding to the body's opioid receptors, which are found in areas of the brain that control pain and emotions. Its effects include extreme happiness, drowsiness, nausea, confusion, constipation, sedation, tolerance, addiction, respiratory depression and arrest, unconsciousness, coma, and death. The high potency of fentanyl greatly increases risk of overdose, especially if a person who uses drugs is unaware that a powder or pill contains it. They can underestimate the dose of opioids they are taking, resulting in overdose. Naloxone is a medicine that can be given to a person to reverse a fentanyl overdose. Multiple naloxone doses might be necessary because of fentanyl’s potency. 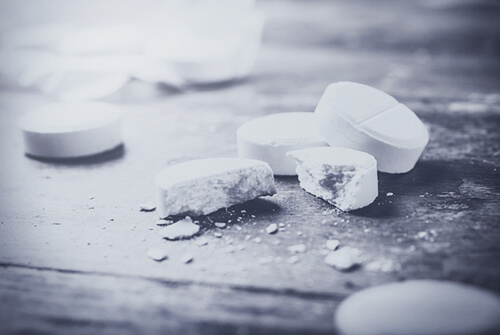 Medication with behavioral therapies has been shown to be effective in treating people with an addiction to fentanyl and other opioids.